Thanks to their inspired fundraising efforts, 44 supporters have raised more than £60,000 for World Land Trust (WLT). 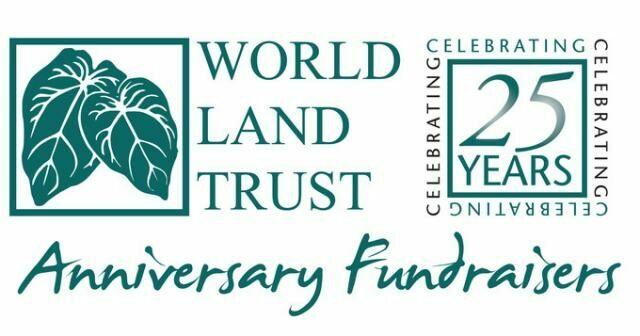 In early 2014, WLT called on supporters to join a group of Anniversary Fundraisers to raise donations for the Trust during its 25th Anniversary year. In the year ending 8 May 2015, WLT’s Anniversary Fundraisers raised £60,563. When WLT launched the 25th Anniversary Fundraising campaign, the donations team was hoping for 25 fundraisers who would together raise £25,000. “To have 44 Anniversary Fundraisers raise £60,000 raised has exceeded all our expectations. We are all absolutely delighted and very grateful,” said John Burton, WLT’s Chief Executive. Every one of the fundraisers set themselves a personal challenge, whether it was five year old Dillon Burgess who completed a five mile sponsored walk around Halesworth in Suffolk, or TV presenter Steve Backshall who completed the gruelling 125 mile Devizes Westminster kayak race. So far, all the Anniversary Fundraisers have completed their challenges with flying colours. As well as Steve Backshall, several individual fundraisers raised £1,000 or more for WLT. These fundraisers receive a special certificate personally signed by WLT Patron Sir David Attenborough, in recognition of their achievement. Hedd Thomas ran the London Marathon in April after winning a ballot to represent WLT in the race. 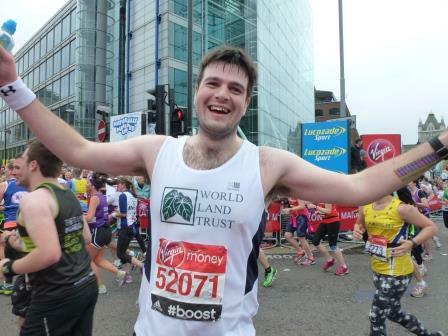 Ian Riding also ran the London Marathon 2015 in aid of WLT. Winston Wolfrider travelled from coast to coast across North America and Steve Ware completed 1,000 push-ups in two hours and dyed his hair green. Climbing Mount Kilimanjaro was the most popular challenge of the year. Liam Bancroft and Palak Bhatt both reached the summit, while Jenna-Louise Baird plans to climb Kilimanjaro in September 2015. In another mountaineering challenge, Melanie McCready trekked up Mount Snowdon for WLT in April 2015. And in June 2015 Jim and Charlotte Gabbitas will be climbing Mont Blanc. Two challenges were undertaken in memory of Chris Garidis: Steve Garidis and friends ran the Greek marathon and Ben Keizner ran the New York City Marathon. Meanwhile, Darren Townsend-Handscomb raised funds in memory of his mother Lydia Handscomb. Henry and Susie Mance and Dominick and Jude Spracklen raised funds for WLT by generously asking for donations instead of wedding presents. Eloys Harradence and Katie Manitsas organised a rainforest dinner for 40 people in Newtown, Sydney, Australia. Holly Dennett and Benjamin Chorley raised money with their Loom Band Aid. Mali Tiger shaved her gorgeous hair. Off the south coast of England, Manoela Grigorova, Stanislav Vasilev, and Steve Poynter all took part in the Isle of Wight Challenge. 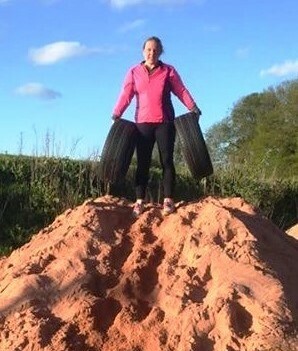 Megan Carr took part in Tough Mudder, a team-based obstacle course spanning 20 kilometres. James Abraham ran the Paris Half Marathon and Judith Stevens walked 25 miles from London to Hayes in the Grand Union Challenge. Andy Flavell and his wife completed the Dundee Cyclathon, a 26 mile event, and then two weeks later cycled 52 miles in the Oban Sportive. Leeds University students Dani, Rach, Sophia, Edie and Izzy ended up in Belgium after a sponsored hitchhike. Blake Perkins and Vanessa Graham from Leeds University are also raising funds for WLT by hitchhiking from Leeds to Marrakech, Morocco. Last but not least in our Anniversary Fundraiser round up, John Paul Houston, Connor Blackburn, Laura Murgatroyd and Matthew Cullen from Blackpool Zoo successfully completed the Three Peaks Challenge. They took on the challenge with Samantha Barkess of Knowsley Safari Park who was fundraising for BIAZA Buy an Acre, WLTs partnership project with the British and Irish Association of Zoos and Aquariums. WLT’s 25th Anniversary year has come to an end, but many of the supporters mentioned above are still raising funds, so please support them. If you are inspired to take on a challenge, please visit WLT’s fundraising pages.